This topic contains 29 replies, has 5 voices, and was last updated by towhid 3 years, 8 months ago. Any news about the problem with Subscription v 1.1 ? Fatal error: Class ‘WC_Logger’ not found in … /wp-content/plugins/dokan-subscription/includes/classes/class-dps-paypal-standard-subscriptions.php on line 4. I have tried to reproduce this issue but failed. Can you please let me know when you are getting this error? During Installation or enable subscription from settings page? It occurs as soon I activate the subscription add on V. 1.1. The exactly same problem happens with a few others if you read above in this topic . Please allow me some time. I have to reproduced this issue. Hope I will come back to you with a right solution. the subscription issue Im having is that the seller cannot add products after buying it. I did not notice any error while activating the plugin. Did you get any error while you are adding products after buying it? There is no prpbl with the buying process. A seller can buy a subscription, but cannot add products after the purchase. I had exact the same problem with Rodriguez. But after update the seller cannot even buy the subscription. when i press buy now nothing happens. I have already forward this issue to our developer team. Please allow me sometimes. Hope I will back to you a right solution. 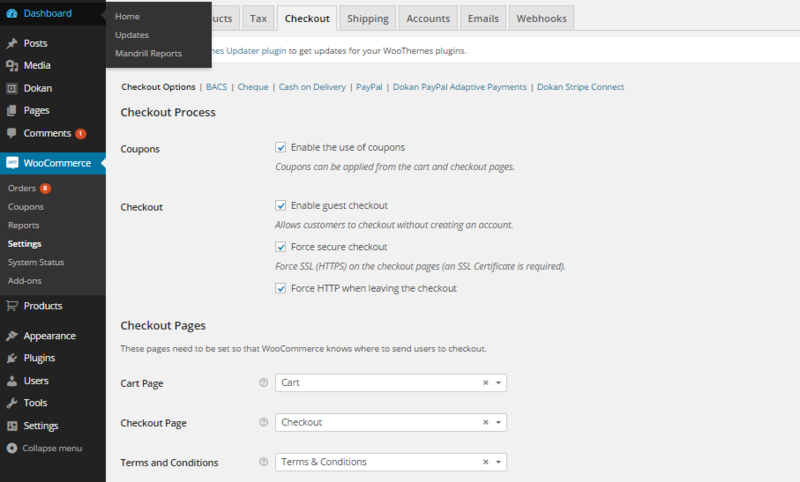 You have forgotten to select cart page and checkout page from Woocommerce->Settings->Checkout(Tab). That is why it does not redirect to a checkout page after selecting a subscription package. The topic ‘Subscription Problem’ is closed to new replies.